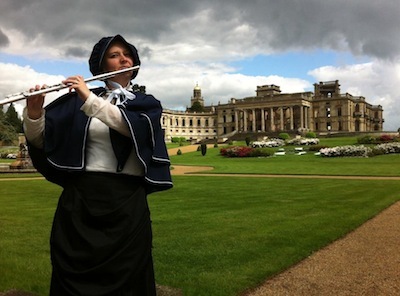 Vicki & Jonny are able to offer period work in the Victorian style. Drawing on Victorian Music Hall songs such as: Daisy, Daisy, Where Did You Get That Hat, After The Ball and many more. Vicki & Jonny also take a musical over view of what was happening from an ethnomusicological standpoint during the late 19th century. 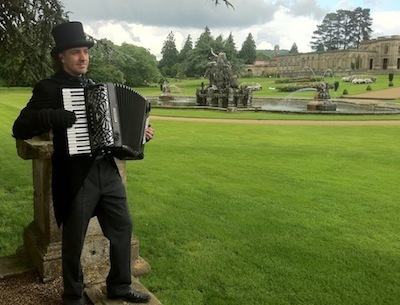 With a vast repertoire of Victorian Christmas Carols Vicki & Jonny can add atmosphere to any Christmas event from Christmas markets to lunches and corporate events. Blast from the Past team of muscians in the Victorian and Medieval periods. Vicki & Jonny can be hired for as little as £120 per person per event.